Villas of Distinction®, a premier villa rental company that is part of World Travel Holdings, is celebrating the launch of its redesigned, mobile-friendly website with a 7-night stay giveaway at the beautiful Villa Aquamare, in Virgin Gorda. Through March 12, consumers who visit the newly enhanced Villas of Distinction website can enter for a chance to win a 7-night stay in the luxurious Villa Aquamare. One lucky winner can bring up to nine guests to stay in one of Aquamare’s 8,000 square foot, 5-bedroom beachfront villas with unobstructed sunset views over Sir Francis Drake Channel and experience Virgin Gorda, one of the most breathtaking islands in the Caribbean. From a private stretch of Mahoe Bay Beach, a private heated pool and outdoor showers to complimentary kayaks and snorkeling equipment, signature spa treatments and daily maid service, this is an ultimate vacation in a stunning location that some only dream of. Villas of Distinction’s new website that launched today, is mobile-friendly, has updated search capabilities, streamlined navigation and larger images making it easier for consumers to find and select the villa that best fits their vacation wishes. To enter to win a 7-night stay at Villa Aquamare, a premier rental villa in Virgin Gorda and for terms and conditions, visit the Villa Aquamare contest page on VillasofDistinction.com. 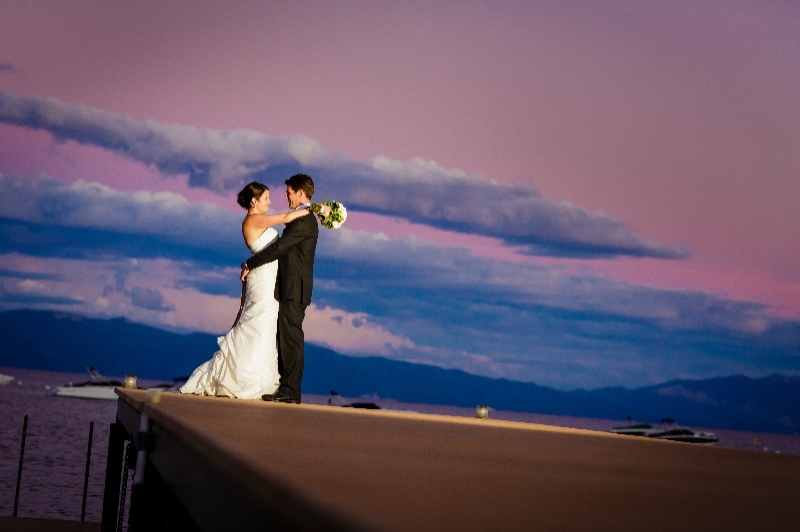 North Lake Tahoe offers some of the most stunning wedding venues in the country. North Lake Tahoe offers some of the most stunning wedding venues in the country and at the Wedding Faire, future brides can meet and mingle with local business owners who can provide everything brides need to create the wedding of their dreams. The event will host a wide range of bakeries, florists, musicians, photo booths, photographers, venues, event coordinators and wedding rentals. This event will feature interactive bridal activities and will offer brides a chance to meet vendors face to face and secure their services for their weddings. In addition to a great list of vendors, the WeddingFaire will feature a raffle with some great prizes. Interested brides-to-be can register for the event online at www.squaw.com. Admission to the event is free and includes champagne. The first one-hundred people to register will be entered to win a special selection of elite raffle prizes. For more information about North Lake Tahoe, visit www.gotahoenorth.com. And for the best bargains, including lodging, check out the “Cool Deals” tab, which is updated daily. North LakeTahoe is a 45-minute drive from the Reno Tahoe International Airport, two hours from Sacramento International Airport and just over three hours from San Francisco International Airport. Visitor information centers are located at 100 North Lake Boulevard in Tahoe City and 969 Tahoe Boulevard in Incline Village. Host of the 1960 Winter Olympics, Squaw Valley is a year-round mountain destination offering world-class adventures in every season. Squaw is renowned for its legendary skiing and riding that spans 3,600 skiable acres, six peaks and 30 chairlifts including a unique mountaintop beginner area and unrivaled expert steeps, chutes and bowls. In summer, the resort welcomes a full line-up of live music and festivals and Squaw’s Aerial Tram offers a scenic ride up to a host of mountaintop activities. For the ultimate slopeside lodging experience, guests can stay in one of The Village at Squaw Valley’s one, two or three bedroom suites, each with a fireplace, kitchen and balcony. Squaw Valley and Alpine Meadows joined forces in November 2011, bringing the two ski resorts under common ownership. Skiers and riders can access 6,000 skiable acres, 43 lifts and 270+ trails at Squaw and Alpine Meadows on one lift ticket or season pass. For more information about Squaw Valley or Alpine Meadows, visit www.squaw.com orwww.skialpine.com or call 800-403-0206. Flamingo Beach Resort is offering reduced rates of 30% for Valentine’s Day with rates starting at $199 per room, per night, plus tax for a studio and $229 per room, per night, plus tax for a deluxe oceanview studio. With beautiful white sand, sparkling blue waters and sunny skies, couples staying at Flamingo Beach Resort are sure to find the perfect combination of romance, relaxation and adventure. The offer is valid on minimum stays of two nights and must be booked by Feb. 28, 2014 for travel now – Feb. 28, 2014. To book, call (800) 438-2929 or visit https://www.DiamondResortsandHotels.com/?MKC=KTCPR2. Horizon View Beach Resort is affording couples traveling for Valentine’s Day a savings of 20% off its normal rates when booked by Feb. 14, 2014 for travel Feb. 13 – Feb. 16, 2014. Located in Philipsburg on Great Bay Beach, Horizon View Beach Resort is perfect for couples seeking spacious and affordable accommodations. Room rates start at $116 and direct ocean views at $156. 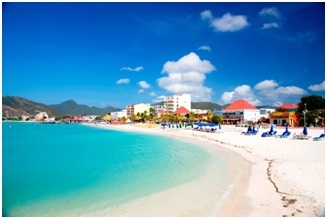 To book, call (721) 543-2121 or email horizon@sintmaarten.net. Royal Palm Beach Resort is offering reduced rates for Valentine’s Day starting at $259 per room, per night, plus tax, a savings of 30%. When visiting Royal Palm Beach Resort, guests are greeted by warm weather, sun and sand, creating the perfect Caribbean atmosphere for romance. The beaches are endless stretches of powder white sand and swaying palm trees, and the warm waters are ideal for snorkeling, diving, swimming and many other watersports. The offer includes a two-bedroom suite for a minimum stay of two nights and must be booked by Feb. 28, 2014 for travel now – Feb 28, 2014. To book, call (800) 438-2929 or visit https://www.DiamondResortsandHotels.com/?MKC=KTCPR2. Oyster Bay Beach Resort’s Infinity Restaurant is providing couples with a Valentine’s Day special prix-fix menu for $28.95 per person which provides each guest with a mouthwatering choice of chicken scallopine topped with fresh mozzarella and shrimp in a Mediterranean tomato sauce or Valentine panko tilapia, along with a glass of champagne, a choice of appetizer and dessert. Visit www.OysterBayBeachResort.com for more information. The independently owned restaurant, Tropical Heaven, located on-property at The Summit Resort is offering a three-course menu or buffet style menu priced at $45 per person and $30 per person, respectively. The three-course menu includes succulent prime rib or lobster, an appetizer and dessert for each guest, along with one free glass of wine. 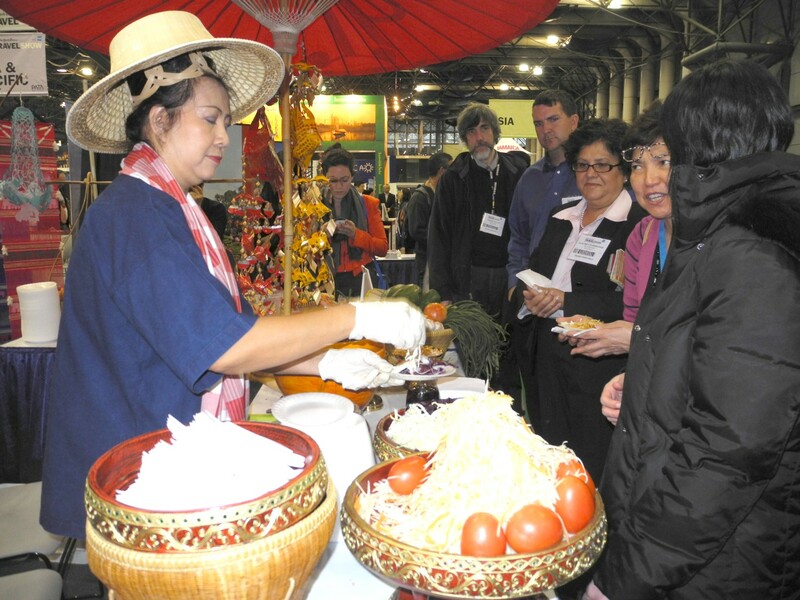 The all-you-can-eat buffet comes with one free fruit punch and gives guests a taste of a variety of options. Visit www.TheSummitResort.com for more information. 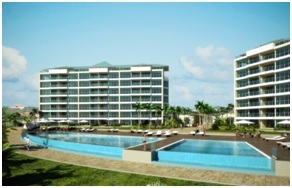 Blue Residences, an upscale condominium resort, opens March 1, 2014 on Aruba’s Eagle Beach, frequently listed as one of the top 10 beaches in the Caribbean. Blue Residences, an upscale condominium resort, will provide luxurious accommodations and services when it opens March 1, 2014 on Aruba’s Eagle Beach, frequently listed as one of the top 10 beaches in the Caribbean. Travelers can be the first to experience this ground-breaking property with the resort’s Grand Opening Special offering 20% off regular rates, with deluxe hotel rooms starting at $120 per night during the summer season and one-bedroom apartment suites at $180 per night (two-, three- and five-bedroom units available at discounted rates as well). The resort will consist of three towers with unobstructed views of the ocean, elevated ceilings in the bedrooms, living rooms and dining rooms, private Jacuzzi terraces, fully loaded kitchens featuring upscale appliances and wireless Internet throughout. On-site amenities include a private beach and poolside butler service, concierge services and golf privileges at two nearby courses. “This is the first luxury resort to open on Eagle Beach in the past 20 years and we are excited about the prospect of promoting this to both loyal Aruba vacationers as well as those coming to the island for the first time,” said Herber Valkenberg, president of Icon Hotel Marketing, the North American representative for the resort. Blue Residences is currently under the final phase of development and will consist of three residential towers, with the debut of its first tower – consisting of two five-bedroom penthouses, four three-bedroom penthouses, 12 three-bedroom units and 24 two-bedroom units, totaling 42 units – scheduled for March 1, 2014. A second tower is scheduled to open in May 2014, while the third tower will open in January 2015. At its completion, the resort will boast 124 total units. Spacious units, ranging in size from one to five bedrooms, will be decorated in a sleek contemporary design and will each feature elevated ceilings, a roomy balcony, upscale appliances and electronics, wireless Internet, fully-equipped kitchen, living and dining room, cable TV, and a washer and dryer. Ground floor suites will additionally feature a private Jacuzzi terrace. Deluxe ocean view hotel rooms (no kitchen) are available as well. Planned on-site amenities include a private beach protected by a jetty, two infinity swimming pools, full-service spa, fitness center, upscale restaurant and bar, mini market and deli and a landscaped sundeck. In addition to poolside butler service, guests will have access to a Thrifty Car Rental desk, concierge services by De Palm Tours and can request pre-arrival grocery stocking and daily maid service. Visitors can also enjoy water sports at Eagle Beach and golf privileges at two nearby courses, including the 18-hole Tierra del Sol, which was designed by Robert Trent Jones. Blue Residences’ Grand Opening Special offers 20% off published prices at this chic property with rates starting at $180 per room, per night for a deluxe ocean view hotel room, and from $280 for one-bedroom suites with fully-equipped kitchens, based on travel March 1 – April 26, 2014. Off-season rates start at $120 per deluxe hotel room, per night, and from $180 for one-bedroom suites, based on travel April 27 – Dec. 20, 2014. Similar discounts are offered on the larger two-, three- and five-bedroom suites as well. 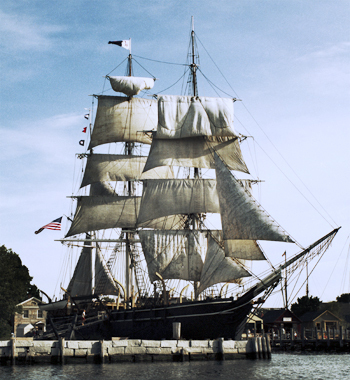 The Grand Opening Special is valid on bookings made through Jan. 31, 2014 for travel March 1 – Dec. 20, 2014. Just four miles from Blue Residences, Aruba’s capital city of Oranjestad retains the charm of a quaint seaside village with the allure of a cosmopolitan, international tourist destination featuring stylish shops, gourmet restaurants, nightclubs and casinos. The city’s crystal-clear blue waters and miles of white-sand beaches often play host to music festivals and local cultural events, providing vacationers with many activities to enrich their stays. For more information or to book a vacation at Blue Residences, call toll-free (800) 728-4910 or (401) 847-4720, email info@icon-hotels.com or visit www.bluearuba.com. With just days until Valentine’s Day, here are three New York City romance packages ideal for any budget, from an over-the-top $15,000 package with luxury food & wine experiences; to a Real Romance package at $349 per night which includes a gift certificate to an on-site jeweler, and a romantic getaway package starting at $299 per night with special amenities for couples. For couples who want to experience New York luxury and a truly memorable experience, the Penthouse Escape Package offers a stylish retreat with food and wine experiences. Amenities include: A three-night stay in the posh Penthouse Suite with views of Central Park and NYC; bottomless fine wine tasting experience; two-hour cooking session with Executive Chef; Club Lounge access. More info at www.sheratonnewyork.com/PenthouseNYCPackage or call 212-841-6400 to book. Snuggle up in the hotel’s cozy Fireplace Nook and enjoy this special package throughout the month of February 2014, starting at $349 per night. Amenities include: accommodations in newly renovated rooms with Sheraton Sweet Sleeper beds; $50 gift certificate to Landau Jeweler located on-site (valid toward a purchase of $60 or more); one bottle of sparkling wine and chocolates; complimentary full American breakfast for two per day; 4pm late checkout. Go to www.sheratonnewyork.com/romance and enter rate code SIROMPKG or call 212-841-6400 for details. Nestled in the Grand Central area of Manhattan is the Westin New York Grand Central, just steps from top attractions including Grand Central Terminal and Bryant Park. Romance Package amenities include: sparkling wine and strawberries to enjoy upon arrival; full American breakfast for two people daily and 3pm late checkout on Sundays so couples can sleep in late. To reserve online, go to www.WestinNewYorkGrandCentral.com and enter rate plan RPKGWEB or call 212-581-1000. The 5th Annual Wine, Waves & Beyond: Central Coast Longboard Surf Classic returns April 30-May 4, 2014 to Pismo Beach, Avila Beach, and San Luis Obispo. This four-day event includes a Surf Movie Night, Rabobank’s Barrel to Barrel grand tasting, Hops & Hogs Throwdown, Central Coast Longboard Surf Contest, and the 805 Classic BBQ featuring the Firestone Walker Brewing Company & Vintage VW Display. This classic surf and wine event celebrates the best of San Luis Obispo County. Combining the fun, laid back atmosphere of our wine country and unique surf culture, it is four days of unforgettable events evoking the magic of wine and waves that take place at numerous scenic venues throughout San Luis Obispo County. Wednesday, April 30, 6:30pm at the historic Fremont Theater in SanLuis Obispo, kicks off this 4-day event with Surf Movie Night featuring Taylor Steele’s “MISSING.” Taylor puts ASP World Champion, Mick Fanning, in some of the most radical places on the planet alongside his good friends John-John Florence, Jordy Smith, Matt Wilkinson and Tom Curren. This epic movie night is filled with community, culture, surfing, and prizes from original art & custom boards, to dinner at SLO county’s finest restaurants, plus tickets to weekend Wine Waves & Beyond events. Friday May 2, 2014, 5-8pm at the Cliffs Resort in Pismo Beach, is Rabobank’s Barrel to Barrel grand tasting event. Held on the ocean front lawn of Pismo Beach’s premier classic resort, guests will enjoy tastings from over 35 visiting wineries and breweries, cuisine samplings from the best local restaurants, live music, and a breathtaking panoramic ocean view. Saturday, May 3,2014, Sycamore Mineral Springs Resort in Avila Beach, hosts the Hops & Hogs Throwdown. This lively cooking competition features six distinguished Central Coast chefs who will face off to create spectacular dishes paired with local craft beers. Guests in attendance will sample outstanding cuisine, sip specialty craft brews and have a chance to vote on their favorite pairing. Cap the evening off by dancing under the stars to live music by Occasional Mustache. Featured breweries include; FirestoneWalker, Figueroa Mountain and Central Coast Brewing. Sunday, May 4, 2014, 7:00am in Pismo Beach at the Pier, the 5thAnnual Longboard Surf Contest begins with both men and women’s heats, a Challenged Athletes division, and once again, the highly anticipated local Winemakers/Brew Masters heat. Additionally, on May 4, in Pismo Beach at the SeaVenture Resort, is the 805 Classic & VW Display. Just minutes from the surf contest is the Vintage VW Display and the 805 Classic, a social and savory Central Coast BBQ featuring the brews of local favorite Firestone Walker Brewing Company, on the beach in front of the SeaVenture Beach House. Proceeds from Wine, Waves & Beyond are donated to the Association of Amputee Surfers (AmpSurf), an organization that strives to promote, inspire, educate, and rehabilitate those with disabilities, especially veterans, through adaptive surfing and other outdoor activities. Located half-way between Los Angeles and San Francisco, in San Luis Obispo County, the Boutique Hotel Collection properties are gateways to pristine beaches, golfing, family activities, shopping, artisan villages, classic beach communities, quaint towns, festivals, an array of cultural events, countless outdoor adventures, the world-renowned Hearst Castle. San Luis Obispo County is also now widely considered one of the finest wine regions in the world, with over 300 wineries from Paso Robles to Edna Valley.